Brazos Belle 182nd - This is the dam of Texas Ranger JP. At the time she was one of the widest horned cows and had a good flat lateral. She was all Phillips breeding and the very important ancestor of many. 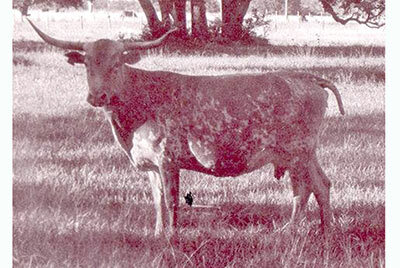 Only one other cow in the history of TL records appeared in pedigrees as many times as Brazos Belle 182nd. Thank you Jack Phillips and Brazos Belle.